The year 1874 saw the conclusion in London of a much publicized court case involving an unlikely pretender to an English baronetcy. Trollope responded to the public's interest in scandal with this novel, which traces the claim of a shadowy figure to the marquisate of Brotherton. The novel is full of sensational elements and is highly revealing of the social issues of the mid-1870s. 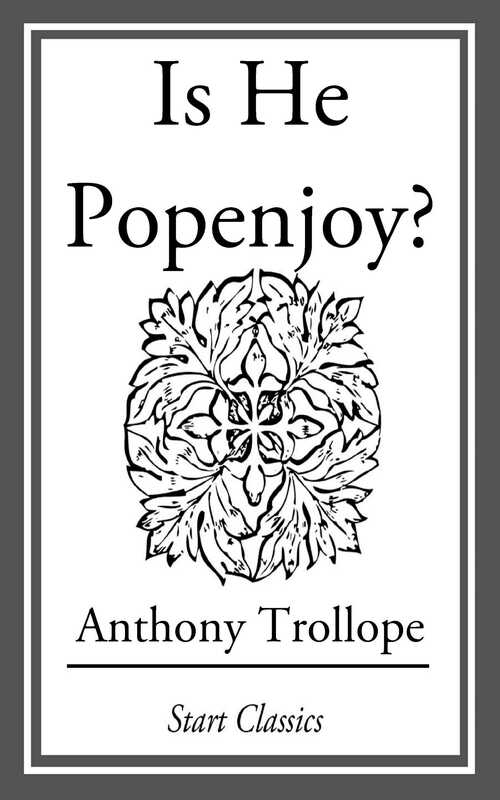 Book Cover Image (jpg): Is He Popenjoy?